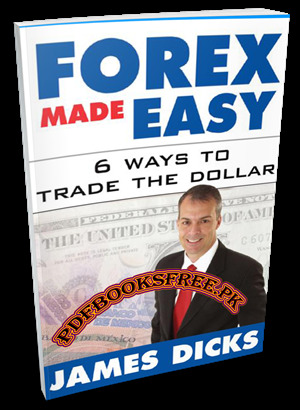 Forex Made Easy 6 Ways to trade the Dollar authored by James Dicks. Easy guide to make money with currency trading. In this book the author has put together what he feel to be a very investor friendly understanding of the FOREX and how to trade it. There are plenty of ways to make this more complicated, but there is no reason. This book is not for the investor who wishes to be an economist. This book is for the everyday investor who is looking for an alternative to the stock market for better portfolio diversification. This Forex trading book is now available here on Pakistan virtual library for reading and download. Check out the following links to read online or download the complete book in high quality Pdf document format and enjoy offline reading.